Cheese; everything you want to know about it. Well almost; we`re not pretending that this is a complete guide, but it is a good starter! Exploring the wonderful world of Cheese ... here is but a brief Cheese list, and its by no means a complete guide to Cheeses, but its a good place to start if you are buying Cheese. Here is The Cheese and Wine Shops brief look at the worlds many Cheeses, from our local Cheddars and West Country Bries, through to World class icons, such as Parmesan, Brie de Meaux, Camembert and other greats, like Gruyere and Emmental. Want to learn a little bit about Cheese? Visit our Cheese Glossary here, and see here for our cheese cutting guide. Click here to learn about the various Cheese Shows, such as The Bath and West Show, International Cheese Show and Frome Show amongst others. Our guide serves to remind us of the diversity that Cheesemakers manage to express through their craft, as they all start with one common product, Milk and or Cream! Celebrate great Cheese here at The Cheese and Wine Shop, and enjoy! We stock, or can get most of the Cheeses on this list; please send an email or call 01823 662899 if you can`t find it for sale on the web site. It is more than likely one we stock, but just hasn't made it across to the web site yet! ABBEY GOLD; A strong, brine-washed, English cow’s milk cheese. Pungent and meaty. ADMIRAL'S CHOICE; A cow’s milk cheese made from Cheddar and Stilton with added Port. ALLERDALE;A rare and very well made hard English goat’s milk cheese. Sweet and nutty. APPENZELL; A superb aged cow’s milk cheese from the Swiss Alps. Sweet and rich, with a Gruyere type texture. The Surchoix reserve Appenzell is particularly good. Use for Melted dishes. APPLEWOOD; A cow’s milk cheese; Applewood is a Mature smoked cheddar with an edge of spicy paprika. Flavourings are used to create the smokey flavour since this cheese is not actually smoked. The paste is firm and moist; this is a popular Cheese. ASHDOWN FORRESTER;A well made hard cow’s milk cheese, similar to cheddar – made from Organic Guernsey’s milk, in Sussex. BANON; A fine ancient cheese from the Provence. The farmhouse versions are mostly of goat’s milk cheese washed in Marc de Bourgogne and wrapped in Sweet Chestnut leaves. BATH SOFT CHEESE;Organic cheese made by hand at Park Farm, Bath.Individual Cheese with a white, mould ripened outer coating and a creamy rich buttery mellow interior. 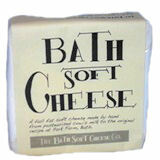 Buy Bath Soft Cheese here. BEAUFORT; An ancient alpine cow’s milk cheese. Matured for two years until rich and sweet. A huge 30 kg is cut to a functional size. An AOC cheese. Great for Melting. BEENLEIGH BLUE; A fine crumbly English sheep’s milk blue. Sweet and delicate. 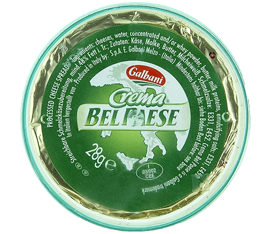 BELPAESE; A mild, supple, Italian cow’s milk cheese. In the portion format it has been mixed with cream to create a spreadable "crema”. BERKSWELL;is a magnificent looking cheese with distinctive ridges and unusual markings on its thick rind. BISHOP KENNEDY;A mild, Scottish, washrind, cow’s milk cheese, washed in local Whisky. Pungent and increasingly soft with age. 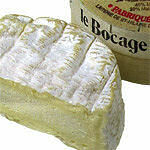 BOUGON BOITE; An excellent, French goat’s milk camembert, strengthening with age to become quite strong and runny. BLEU D’AUVERGNE; A superb aged French cow’s milk blue cheese. Matured until distinctly sweet, balancing the acidity of the curd. An AOC cheese. BLUEVINNEY; An ancient English cow’s milk blue cheese. A low fat cheese made of skimmed milk. BONIFAZ; A well made German Brie, creamy and mild. Flavoured with Herbs and Garlic. 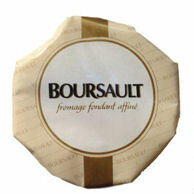 BOURSAULT; A mild and exceptionally creamy little French cow’s milk cheese. A triple Crème cheese. BOURSIN; A pleasant garlic and herb, French cream cheese. Also available in a low fat variation and with Black Pepper. BOWLAND; A mature English Lancashire, flavoured with apple, cinnamon and raisons. A cow’s milk cheese. BRESSE BLEU;A popular range of small French cow’s milk, blue cheeses. BRIE;A range of soft, bloom ripened, cow’s milk cheeses. On the whole quite mild. The unpasteurised, farmhouse versions strengthen with age, becoming strong and pungent. Read about Brie and Camembert here! BRIE DE MEAUX; One of the finer large unpasteurised French bries, strengthening with age. An AOC cheese. BRIE DE MELUN; A medium size unpasteurised French Brie, Deeper than the Meaux, ideal for stuffing and making Truffled Brie. An AOC cheese. BRIE TRUFFE; (Truffled Brie) Brie with Perigord Truffles. Click here to learn more. BRIE DE PAYS; is ‘The’ classic French brie. This unpasteurised cow’s milk farmhouse cheese is very popular, and many argue a better, alternative to Brie De Meaux. It has an equally good texture and appearance, but the flavour is less tart and this leads to a rounder and more accomplished taste. Brie de Pays has a full rustic flavour and classic runniness when ripe. BRILLATSAVARIN; Anincredibly creamy, mild, French cow’s milk cheese. A triple crème, ie a cheese made from milk fortified with buckets of Crème Fraiche. BRIQUETTE DE BREBIS;A mild, fresh, soft farmhouse sheep’s milk cheese from the Auvergne. Eaten at various stages of maturity; young and clean to mature, and speckled with fungi. BRUDER BASIL; A well made, smoked German cow’s milk cheese. Brick shaped. Popular for fine slicing. BUFFALO MOZZARELLA; A classic Italian mozzarella. A fist sized ball of curd with a fine, delicate rind of spun cheese binding a wet, spongelike, centre. Made from the milk of Water Buffalo. Mild and tasting of creamy milk. Kept fresh in brine. CABOC; A mild, Scottish cow’s milk cream cheese log, coated in rolled oats. Great at anytme, but especially good for Burns Night! CAERPHILLY; A delicate crumbly, country cheese, traditionally made in the Welsh valleys. Eaten young, before stronger flavours and softer textures develop. A cow’s milk cheese. CAHILL PORTER; A mature cheddar, incorporating Guinness. A cow’s milk cheese. CAMEMBERT; A range of soft, bloom ripened, cow’s milk, cheeses. On the whole quite mild, the unpasteurised versions strengthen with age, becoming stronger than Brie. 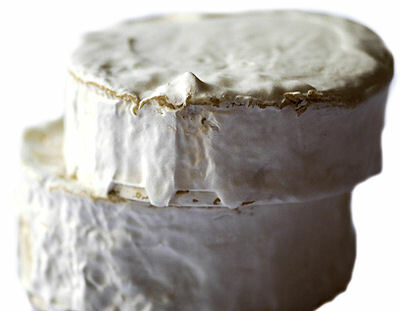 The texture of a ripe Camembert tends also to be firmer than Brie. CAMEMBERT BOCAGE; is a raw milk Camembert with a lovely full flavour. CAMEMBERT RUSTIQUE; An excellent unpasteurised Camembert,which ripens faster than the Artisan version. Breaded, its a popular starter. Also consider our 250g Camembert Rustique. CAPRICE DE DIEUX; A delicate, mild, French cow’s milk cheese. Bloom rind and oval in shape. CAPRICORN; A pleasant little goat’s milk cheese; bloom rind in a camembert style. Ripening to strength and softness. Available in 100g and 1kg. CARDINAL SIN; A meaty, rich, brine washed English cow’s milk cheese. Made by Charles Martell; Pungent and fairly strong. CARRE DE L’EST; A mild and pleasant wash rind, cow’s milk cheese from the Al sace. Milder than Munster, yet strengthening and softening with age. CASHEL BLUE; A delicate Irish, cow’s milk blue, strengthening and softening with age. CELTIC PROMISE; A meaty, fairly strong, cider-washed cow’s milk cheese from Wales. CHABICHOU; An aged farmhouse French, goat’s milk cheese. Shaped like a small drum. Piquant and fairly strong. CHABIS CENDRE; A small, French, ash covered, goat’s milk disc. Eaten young whilst fresh and piquant. CHABLIS; A mild and delicate French cow’s milk, wash rind cheese, similar but milder than the Epoisses and Chambertin. CHAMBERTIN; A pungent wash rind, cow’s milk cheese from Burgundy. Washed primarily in brine, then followed with Marc de Bourgogne. Becoming more pungent and softening with maturity. Also known as L’Ami de Chambertin. CHAMOIS D’OR; A creamy, mild, French cutting, cow’s milk cheese. Sticky and nutty. CHAOURCE; A classic, deep, bloom rind, cow’s milk cheese from Burgundy. Similar to brie in texture, but much smaller and deeper. CHARNWOOD; A mature oak smoked cheddar. A cow’s milk cheese. CHAVROUX; A delicate, piquant, little goat’s milk French cheese. Shaped into a pyramid. CHEDDAR; Cheddar is the generic name for a family of fully pressed, aged cow’s milk cheeses. Bound in cheese cloth and rubbed in lard to seal the cheese before ageing. Ageing varies in length between 6 and 18 months. The cheeses are made without any preservatives and will from time to time develop blue fungi, this is completely natural and is quite edible. Fine and Vintage Cheddars are a Cheese and Wine Shop speciality. Only the mild, block form cheddars can be expected to slice without crumbling. FORD FARM CHEDDAR; See our range of Cheddars from Ford Farm, just over the border from us on the Dorset Coast. Year round truckles of Cheddar make great gifts! CHESHIRE; An ancient traditional English cheese, dating from the Norman invasion. Made on the salt flats of Cheshire and historically made without additional salt. Cloth bound to keep fungi out of the loose texture. A cow’s milk cheese. CHEVRE MAXIDOME; A fine French goat’s milk cheese from Auvergne, made in the form of a dome. CLOCHE; A young, French farmhouse goat’s milk cheese. Bell shaped, eaten at various stages of maturity and found frequently with Croute bleu, a blue/grey fungi. COEUR DE NEUFCHATEL; mild, bloom rind French cow’s milk cheese, similar to a Camembert. Heart shaped. An AOC cheese. COMTE; A fine and ancient French mountain cow’s milk cheese. The fermier version being cut from a wheel aged for at least two years . Rich, sweet and fruity, Comte is firm and honest, and speaks unambiguously of its origins in the Jura mountains, near the Swiss frontier. An AOC cheese. Great for Melting, cooking. Click here to buy Comte! COOLEENEY; A mild Irish cow’s milk Camembert. Deep and creamy. Strengthening and softening with age. CORNISH ORGANIC BRIE;A delicate mild brie, made with organic cow’s milk. CORNISH YARG; A delicate crumbly cow’s milk cheese, similar to Caerphilly, yet wrapped in nettle leaves. See also Wild Garlic Yarg. COTHERSTONE; A rare English Dales cheese. A moist almost soft Caerphilly type cow’s milk cheese. COTSWOLD; Double Gloucester flavoured with Chives and Onion. A cow’s milk cheese. CROWDIE; Crowdie, a soft cheese also known as 'gruth' in Gaelic is the result of traditional methods dating back to Scotland's Viking occupation. Coated in toasted pinhead oats and black pepper Gruth Dhu also known as black crowdie is a nice twist on the traditional product. Caboc from Ross-shire in the western Highlands is made from cows' milk, rolled into small logs and covered on a bed of toasted oats. CROZIER BLUE; A delicate sweet Irish sheep’s milk blue. CUMBERLAND; A superb hard English cow’s milk cheese, with a rich and complex flavour. CURD CHEESE; Curd Cheese is similar to cream cheese but with a lower fat content and it, like cottage cheese, has had a lactic starter added. This gives it a light acidity and a light flavour, colour and texture. It is sometimes called medium-fat soft cheese. Its most popular for for cheesecakes and dips because it gives them a lighter flavour and texture. Cow’s milk examples include Philadelphia, Quark, and Cream cheese. Goat’s milk examples include Wealdway, Rosary and 1kg Chevre. CURWORTHY; A fine English hard cow’s milk cheese, aged until rich and sweet. Wax coated. Buy Curworthy at The Cheese and Wine Shop! DANISH BLUE;A popular, strong Danish cow’s milk blue cheese. Blue sauces. Click here to buy. 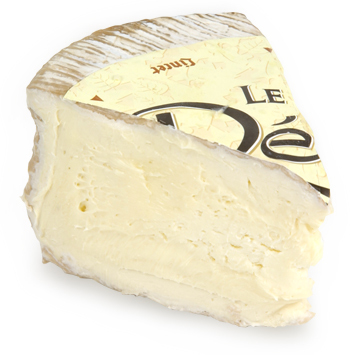 DELICE DE BOURGOGNE; An exceptionally creamy, mild, French cutting cheese. A triple crème, ie a cheese made from cow’s milk fortified with buckets of Crème Fraiche. DEVON BLUE; A fine English Cow’s milk cheese, crumbly and not particularly blue. It is distinctly sweet, which balances the acidity of the blue. DOLCELATTE; A soft creamy Italian cow’s milk blue cheese. Properly called Gorgonzola Dolcelatte, meaning a "sweet milk” Gorgonzola. Sometimes known as Gorgonzola Dolce, it’s renowned for its soft, creamy flavour. DOUBLE GLOUCESTER; A fine English classic, introduced by Benedictine monks shortly after the Roman Invasion of Britain. Coloured nowadays with Annatto, a natural dye from the seed of a South American tree. A cow’s milk cheese. DUDDLESWELL; A well made hard English cow’s milk cheese; nutty and smooth. DUNBARRA PEPPER; A delightful Irish cow’s milk brie type cheese, with a Celtic pattern of black peppercorns embedded on the top. DORSTONE; Dorstone is a fresh goat’s cheese made by Charlie Westhead and his team at Neal’s Yard Creamery in Dorstone, Herefordshire. Made to a traditional French recipe, it is a particular favourite with its delectable, mousse-like texture, with refreshing citurss acidity with gentle, mild yeasty and herby notes. DUNSYRE BLUE; A mild, Scottish cow’s milk blue cheese, strengthening with age. EDEL DE CLERON; A delicate wash rind cow’s milk cheese, bound and presented similar to Vacherin. Nutty, sticky and sweet. Also similar to the Ecosse de Sapin. ELGAR MATURE; A fine English mature cow’s milk cheese from the Malverns hills. ELMHIRST; A delicious, creamy and fairly soft, unpasteurised, bloom rind cow’s milk cheese from Devon. Rare and difficult to obtain. ENGLISH PYRAMID; A delicate, mild goat’s milk pyramid cheese, rolled in charcoal in the style of the French Goat cheeses. ESROM; A soft, supple Danish cow’s milk cheese. Mild and pleasant. Melts superbly. Melting. Available as a whole Cheese. Preorder only. Esrom is thought of as a Danish Chaumes, Chaumes would be the closest; click here to buy Chaumes. ETORKI; A firm, sweet and pleasant French sheep’s milk cheese from the Pyrenees. EXPLORATEUR; An exceptionally creamy, soft French cutting cheese. A triple crème, ie a cheese made with cow’s milk fortified with buckets of Crème Fraiche. FIVE COUNTIES; A cheese made up of layers of Cheddar, Red Leicester, Double Gloucester, Stilton and Cheshire. A cow’s milk cheese. FLEUR DE MAQUIS; An extraordinary cheese from the mountains of Corsica. A mild, sheep’s milk cheese rolled in Rosemary and Juniper berries. GALLIC STONE; A mild, Scottish, cow’s milk cream cheese log, with a hint of garlic and coated in crushed hazelnuts. GIROLLE; The knife / apparatus for producing florettes of Tete de Moine. Also widely used to create decorative wafer curls of chocolate. GJETOST; An extraordinary sweet, toffee-like whey "cheese” from Norway. Traditionally made with goat’s milk, and known as Ekte Gjetost, click here to buy. but also made with cow’s milk. Enjoy Melted on Toast. Learn more about Gjetost here. GOLDEN CROSS; A Mature goat’s milk log, from Sussex. Piquant and nutty. Rolled in charcoal in the style of the French cheesemakers of the Touraine. GORGONZOLA; Italy's famous Gorgonzola is made in two styles; Gorgonzola Dolce is sweet and creamy while the'mountain' variety offers some bite buried in dense, milky paste. Mountain Gorgonzola, the Lombardian cheesemakers use a two-step process in which pasteurized curds from morning and evening milkings are layered into each wheel. Blue veins develop over several months of ripening, producing a firmer, more sliceable wheel than its gooey cremi-cousin. Mountain Gorgonzola embodies the spicy, earthy flavors of valley pastures, lending itself to almost any application; baking, sauce making or serving straight-up with some Moscato d'Asti. GOURMELIN; A popular soft French cutting cow’s milk cheese, sweet and sticky. GRAND MUROLS; A mild, nutty, wash rind, French cow’s milk cheese. Made in a Trappist style in the Auvergne. GRATTE PAILLE; A superb, ultra-creamy French triple Crème. A cow’s milk cheese made with milk fortified with buckets of crème fraiche. Made in the Ile de France and named "broken hay” after the debris left behind the hay carts that passed through the narrow lanes. GRES DE VOSNES; Gres de Vosges is somewhat like a Camembert or Munster and graced with a decorative fern leaf, the Gres de Vosges is oozy but not runny or offensively stinky. The mellow saltiness melts across the tongue and lacks the bitter aftertaste of so many strong melling cheeses. GUBBEEN; A firm, Irish, wash rind, cow’s milk cheese. Mild and nutty. Also available smoked. HARBOURNE BLUE; A rare and unique goat’s milk blue cheese. A delicious balance of sweet and sharp. Seasonal and difficult to obtain. HARLECH; A mature, Welsh cheddar flavoured with horseradish and parsley. Made with cow’s milk. HEREFORD HOP; A mature English, Gloucester type, cow’s milk cheese coated in lightly toasted hops. HEREFORD RED; A mild nutty English cow’s milk cheese coloured a deep red with Annatto, a dye extracted from the seed of a South America plant. HUNTSMAN; Double Gloucester sandwiching a layer of Stilton. A cow’s milk cheese. INNKEEPERS CHOICE; A mature cheddar flavoured with Pickled Onions and Chives. A cow’s milk cheese. ISLE OF AVALON; A soft creamy wash rind, cow’s milk cheese, Nutty flavour. ISLE OF MULL; A superb Scottish Cheddar. Unpasteurised, mature and full flavoured. JERSEY BLUE; Also known as Exmoor Blue. A fine cow’s milk blue, maturing to strength. Soft and creamy. LANARK BLUE; An unusual Scottish sheep’s milk blue, strengthening with age and becoming quite strong. LANCASHIRE; A superb English Classic, crumbly and moist. Eaten at various ages, the cheese strengthens with maturity. A cow’s milk cheese. LANCASTER; Delicate moist organic Lancashire. Perhaps the finest organic cow’s milk cheese in the UK. LANGRES EN PLATEAUX; A delicious mild, French, wash rind, cow’s milk cheese. Never turned during the drainage and as a result develops a dip in the center. Many chefs pour brandy or marc into the dip prior to serving. An AOC cheese. LEYDEN; A large Dutch cow’s milk cheese; firm and medium mature. Flavoured with Cumin seeds. Also known as Leiden, Gouda with Cumin and Komijnekaas. Slicing. LIMBURGER; A wash rind German, cow’s milk cheese. Small and pungent. Mild when young, increasing in pungency as it ages. LINCOLNSHIRE POACHER; A well made English cow’s milk cheese. When young it is similar to cheddar, but in Vintage form is distinctly sweet and nutty. LIVAROT; A meaty and pungent wash rind, cow’s milk, cheese from Normandy, strengthening with age. The farmhouse versions are bound in the ancient fashion with reeds and are much stronger. An AOC cheese. LORD OF THE HUNDREDS; A superb aged sheep’s milk cheese from Sussex. Sweet and nutty. MAHON; A remarkable Spanish, mature cow’s milk cheese. Drained within a cheese cloth set into a square mould, which gives the cheese its characteristic rounded shape. Hard but not particularly strong. A DO cheese. MAJORERO; A hard Spanish goat’s milk cheese. Crumbly, sweet and nutty. 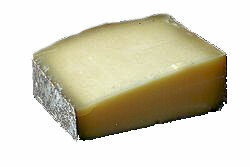 MANCHEGO; A generic name for a family of ancient, hard Spanish, DO, sheep’s milk cheeses. Sometimes made using mixed milks. 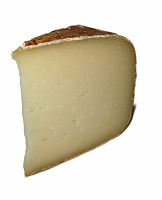 Mild and delicate when young, Manchego improves with age, becoming sweet and crumbly. Buy Manchego at The Cheese and Wine Shop! MEXICANA; A mature cheddar with added chillis. A cow’s milk cheese. MILLEENS; A brine washed Irish cow’s milk cheese, similar to the Pont l’Eveque. Pungent and nutty. MIMOLETTE; An extraordinary bright red, French cow’s milk cheese. Eaten aged, when the rind is quite corroded with cheese mite, yet is still fairly mild. MONT CATS; A mild and pleasant Trappist cow’s milk, cutting cheese. Brine washed to create a nutty rind. MONTAGNOLO CHEESE; Also known as Montagnolo Affine, this is a triple crème soft cheese that is surface ripened and is marbled with blue veins, with a grey natural crust. It combines the texture and rich tastes of a triple-crème brie, with the distinct and lightly biting flavour of a blue cheese. Montagnolo won the Supreme Champion award at the 2013 International Cheese Awards, also taking second prize as well, beating more than 3900 other cheeses in the process. MONTENEBRO; A superb Spanish, mature, goat’s milk log. A strong, firm but creamy cheese. Rolled in charcoal to create a rind. Strengthens with age. MRS BELL’S BLUE; A soft, creamy and sweet sheep’s milk blue from Yorkshire. MYCELLA; A well made Danish cow’s milk, blue cheese; some say its a Danish version of Gorgonzola, 'Mycella' is a traditional, creamy cheese made of cow's milk. It is moist and creamy, a little salty but not bitter and belongs to blue cheese family. It comes with a blue-green mould and mild aromatic taste. The blue veins in the cheese provide it an attractive look. We don't sell Mycella, but do sell Danish Blue Cheese here, and Gorgonzola here. NEUFCHATEL; popular at any time, but especially so at Valantines, and for birthday gifts because of its heart shape. Creamy with luxurious taste, and is similar to that of Camembert. Unlike other soft, white rinded cheeses, Neufchâtel has a grainy texture. OLD AMSTERDAM; A superb extra mature Edam. A hard, sweet Dutch cow’s milk cheese, comparable to the vintage Goudas. ORKNEY’S; A range of small, well-made, mature Scottish Cheddars. Made of cow’s milk. OSSAU IRATY; One of the most ancient cheeses of Europe. A firm, sweet and nutty unpasteurised, French sheep’s milk cheese, from the Valley d’Ossau in the high Pyrenees. Also known as Iraty Brebis, and similar to Bellocq and Pyrenees Pardou Brebis. OSSAU IRATY from the Cheese and Wine Shop; next day delivery available! OXFORD BLUE; A mild creamy English cow’s milk cheese. Ageing to strength. PANTYSGAWN; A delicate young Welsh, goats’ milk cheese, eaten whilst mild and fresh. PARMIGIANO REGGIANO; the true parmesan, two years old, made in DOC conditions, within Parma. GRANO PADANO; also DOC, marginally softer than Parmigiano Reggiano, its also a younger cheese at 16 months. Both cheeses are quite superb. All cooking, Salads and as a table cheese. Use for Melting, Shaving, Grating. PAVE D’AFFINOIS; A delicate, small, mild, French cow’s milk cheese. Cube shaped, softening as it matures. PAVE D’AUGE; A meaty, wash rind cow’s milk cheese from Normandy. Square like a Pont L’Eveque, but twice the height. PECORINO; A generic term for Italian sheep’s milk cheeses. Largely made in the south and in Sardinia. Traditionally hard and mature however also eaten young. Salad, Shaving, Pesto. PENDLE FOREST; A smoked, mature Lancashire, the classic English territorial cheese. Made with cow’s milk. PERAIL DE BREBIS; A small, delicate, soft ripening sheep’s milk cheese, shaped into a flat disc. Will ripen to a very runny state. PERIGOUX; A small creamy, soft French cutting cheese. Formed as a ring to ease portioning. Nutty and mild. Made with cow’s milk. PETIT BRETON; A mild, nutty, wash rind French cow’s milk cheese. PIEVE VECCHIO; Often likened to the king of Italian cheese, Parmigiano Reggiano. Piave is deliciously nutty, pasteurized cow’s milk cheese from the Veneto in northern Italy. With a concentrated sweet, crystalline paste and full flavour, think tropical fruits, and slight almond bitterness, its a lovely complex cheese. Typically aged for twelve months, Piave is wonderful as a table cheese, shaved over a salad of bitter greens, or enjoyed with an aperitif. Like Parmigiano, Piave partners both red and white wine. Many people like it paired with an ale. PICOS BLUE; A remarkable mature Spanish Blue cheese. Made of cow and goat’s milk mixed and bound in Sycamore leaves. Strong, sweet and crumbly. A DO cheese. Also known as Queso de los Picos de Cabrales or Valdeon Blue Picos de Europa. PIED D’ ANGLOYS; A mild and pleasant, nutty little French cow’s milk cheese. PIERRE ROBERT; A delightful and incredibly creamy, bloom rind, cow’s milk French cheese. Ripening to increasing strength and softness. PYRAMID VALENCAY; A young, ash covered, French goat’s milk cheese, shaped as a blunt pyramid. Eaten when still maturing and the rind has softened and has developed a light bloom. A delicate piquant flavour. PYRENEES; A range of large, mild, French cow’s milk cheeses from the Pyrenees. Wax coated. Also available with Green Peppercorns. PYRENEES PARDOU BREBIS; An ancient, French sheep’s milk cheese from the Pyrenees. 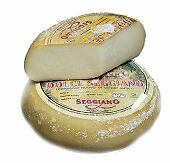 Similar to the Ossau Iraty Brebis, a firm, sweet cheese inside a hard rind. PYRENEES PARDOU CHEVRE; A delicate, sweet goat’s milk cheese from the high Pyrenees. A firm cheese with a hard rind. Eaten at 2 months, whilst still mild. RAMBOL WALNUT; An extraordinary soft French cutting cheese. Layers of cream cheese sandwiching layers of crumbed walnut and cheese. The 1kg product is decorated with halves of walnut. Individual Rambol Walnut. Click here to buy Rambol. REBLOCHON;A classic French cow’s milk cheese from the Savoie. Delicate and sweet within soft, leathery and nutty rind. Softening and strengthening with age. The artisan cheese being matured by the affineurs of the Savoie. Melting. RED LEICESTER; A classic English Territorial, aged until sweet and nutty. Coloured with Annatto, a natural dye made from the seed of a South American tree. A cow’s milk cheese. Melting Slicing. For a treat, try our Aged Red Leicester here! RIBBLESDALE – GOAT; A very pleasant, sweet delicate goat’s milk cheese sealed in wax. Also available smoked. RIBBLESDALE –EWE; A pleasant sweet and delicate English sheep’s milk cheese. Sealed in wax. RICOTTA; A fresh, mild, and soft Italian cow’s milk "cheese”. Made from Whey, a bi-product of the cheesemaking process. Pasta filling Dessert. RIGOTTES; A small, young French cow’s milk cheese. Pickled or preserved in oil to retain its fresh sharp flavour. See Cigalon. Salad. ROCHE BARON; A mild creamy French cow’s milk blue cheese, made in the Auvergne. Also known as Montbriac. ROQUEFORT; A range of exceptional French sheep’s milk blue cheeses. Made and matured under strict AOC standards. Sweet, succulent, acidic and gritty. ROSARY LOG; A young soft goat’s milk cheese log. Very soft with a clean, fresh piquant flavour. Pasta filling Salad. ROUBILLIAC; A range of soft young goat’s milk cheese logs. Available plain or with various coatings, for example black pepper, herb or sweet pepper. ROULE HERB; A French, cow’s milk cream cheese rolled with fresh herbs and garlic. ROUY; A pleasant little wash rind, French cow’s milk cheese. Nutty and mild. SAGE DERBY; A popular English territorial; a cheese similar to cheddar but flavored with essence of Sage and mottled with green veins. A cow’s milk cheese. SAINT GEORGE; A deep goat’s milk camembert. Ripening to strength and softness. SAVAL; A meaty, fairly strong, cider-washed cow’s milk cheese from Wales. SELLES SUR CHER; A young, ash covered, French goat’s milk cheese. Shaped as a inch high disc. Eaten young, whilst fresh and piquant, however is excellent old and strong. Similar to a Chabis Cendre. SEVERN SISTERS; A low fat, hard, British cow’s milk cheese. Sealed in green wax. SHARPHAM BRIE; Perhaps the best brie made in the UK, unpasteurized and full flavored. SHROPSHIRE BLUE; A classic English Territorial. A cow's milk blue cheese.Sweetening and softening with age. Dyed an orangey red with Annatto. SOFT CHEESES; Soft,creamy or runny cheeses have much smoother texture than medium cheeses. Brieand Camembert are just the beginning. There are some truly funky and powerfulsoft cheeses out there like, Epoisses, Pont L'Eveque or Vacherin Montd'Or or decadently rich cheeses like Chaource and Saint Marcellin also then therecognizable triple creams such as Pierre-Robert, Brillat-Savarin and Explorateur. SKIRRID; A superb delicate, Welsh sheep's milk cheese, finished with a wash in Mead. 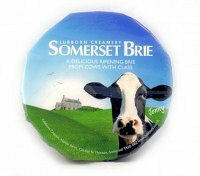 SOMERSET BRIE; A mild and pleasant English, cow's milk brie. SPENWOOD; A superbly made hard English sheep’s milk cheese. Sweet and nutty. STAWLEY; Our local hero! Superb Goat Cheese. ST AGUR; A delicious French cow’s milk blue. Sweet and creamy. 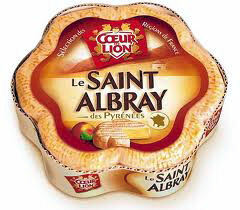 ST ALBRAY; A popular French cutting cow’s milk cheese. Ring shaped for ease of portioning. Rind washed to create a nutty rind on a creamy mild core. Buy Individual Saint Albray here! ST ANDRE; A wonderfully creamy French cow’s milk, cutting cheese from the Ile de France. A triple crème. Firmer than the Explorateur and softer than the Vignotte. ST ANDREW’S; A Scottish wash rind cow’s milk cheese. Firm and not too strong. Brine washed. ST DAVIDS; A firm, Welsh, wash rind cow’s milk cheese. Mildly pungent and meaty. ST JULIEN; A soft spreadable processed cheese, packed with Nuts, including Walnuts, Hazelnuts and Almonds. Like Rambol Walnut, but with added nuts! ST ILLTYD; A mature Welsh Cheddar, flavoured with white wine and herbs. Made with cow’s milk. ST KILLIAN; A delightful hexagonal Irish, cow’s milk Camembert. Soft and creamy. ST MARCELIN; A superb little wash rind French cow’s milk cheese. Eaten when fairly mature, covered in Croute Bleu – the light grey/blue fungi and runny. Sweet and delicate. 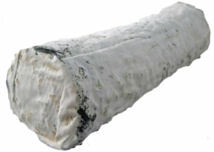 ST MAURE DE TOURAINE; A classic French, ash covered, goat’s milk log. The farmhouse, AOC product also has a straw running through the center. Eaten as the rind matures to a soft sweet state, whilst the curd retains it's delicate piquant flavour. Also available white. See here for our English equiverlant! ST NECTAIRE; A fine mountain, French cow’s milk cheese from the Auvergne. A delicate sweet curd in a nutty, leathery rind. An AOC cheese. ST PAULIN; A mild and pleasant Trappist style cheese. Marginally softer than Port Salut. STILTON; Traditional Stiltons are made in two sizes, the 8kg and the 2.5kg Baby. Aged for 3 months until the blue is finely laced throughout ivory curd. The flavour will sweeten and the texture softens to become smooth and creamy. A cow’s milk cheese of distinction, and a Christmas essential. Here at the Cheese and Wine Shop choose finest Blue Stilton from Long Clawson, Cropwell Bishop and Colston Basset. STINKING BISHOP; A superb soft English, cow’s milk cheese from Gloucestershire, washed in Perry. Pungent and unctuous, yet mild in flavour. Read more about Stinking Bishop here. Buy a whole Stinking Bishop at The Cheese and Wine Shop! SUSSEX SCRUMPY; A hard, full fat, mature English cow’s milk cheese, flavoured with herbs. SUSSEX SQUIRE; A rustic and delicate, English, goat’s milk cheese. Sweet and nutty. Seasonal and difficult to obtain. SUSSEX YEOMAN; A mature, English goats’ milk cheese. Seasonal and difficult to obtain. SWALEDALE – EWE; A well made hard sheep’s milk cheese. Delicate , sweet and nutty. SWALEDALE – GOAT; A delicate English goat’s milk cheese, sweet and nutty. Seasonal and difficult to obtain. SWALEDALE COW; fine matured cow’s milk cheese, nutty and sweet. TALEGGIO; A mild, soft, sticky, Italian cow’s milk cheese. Formed into a square, 2 inches high. With a pungent, brine washed and nutty rind. A DOC cheese Perfect for Melting. Buy Taleggio for next day delivery! TAURUS; A mild, wash rind English cow’s milk cheese. Soft and sticky. TETE DE MOINE; A wonderful hard Swiss cow’s milk cheese. Made in the style of a sweet, mature gruyere, but much smaller at around 750g. Served traditionally from a Girolle, a knife suspended vertically over the cheese which draws up a curly wafer of cheese. 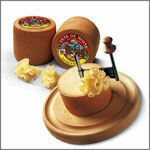 To buy Tete de Moine click here; to buy a Cheese Curler, click here. Also great for Melting, and over Salads. Buy Tete de Moine from The Cheese and Wine Shop! TICKLEMORE; A rare and particularly fine English firm goat’s milk cheese. Buy Ticklemore for next day delivery! TINTERN; A mature Welsh Cheddar, flavored with Chives and Shallots. Made with cow’s milk. TOMME DE CHEVRE AU MUSCADETA; delicious French, wash rind goat’s milk cheese from Poitou in the Charentes. A sweet, supple curd, washed in white Muscadet wine to develop a nutty pungent rind. TOMME DE SAVOIE; A classic French Alpine cheese. A firm, nutty, cow’s milk cheese. In its farmhouse mature form, the rind will have become quite corroded with cheese mite. TOMME DE VACHE PARDOUA; hard French mountain cow’s milk cheese from the Vallee d’Ossau in the Pyrenees. Delicate, sweet and nutty, with a tough hard rind. TORNEGUS; A mild, but quite pungent English cow’s milk cheese; crumbly and firm. Washed in white wine. Made in the style of the Trappist monks. TORTA BASILICO; An extraordinary Italian cheese. A sandwich of layers of Mascarpone, Pine Nuts, Gorgonzola and fresh Basil. TORTA MACARPONE / DOLCELATTE; A delicious Italian, cow’s milk cheese. A sandwich of layers of Mascarpone and Dolcelatte. Soft, mild and creamy. TOUREE; A mild and creamy French cutting cow’s milk cheese. Strengthening and softening with age. TRUCKLES; From Cheddar and Stilton, to Wensleydale andeverything in between, click here to learn more. TRUFFLE CHEESE; French Brie with Truffles; Click here to learn more. Brie Truffe; decadant and indulgant! TWEENEY; An unusual Dutch goat’s milk Gouda, young, mild and supple. A whiter and slightly nuttier product, compared to its cow’s milk version. WENSLEYDALE; A delicate English cow’s milk blue. Milder than Stilton, it is an ancestor of the modern Wensleydale. VACHERIN FRIBOURGEOIS; A mature Swiss cow’s milk cheese, similar to the Appenzell or Swiss Raclette. Rich and Sweet, like most Swiss cheeses; a superb melting cheese. VIEUX PAINE; A delicate, soft, ripening, wash rind, French cow's milk cheese. A broadtile shaped square product. VIGNOTTE; A mild, nutty and seriously creamy Frenchtriple crème. The firmer of the triple crèmes and popular for portioning. Madewith cow's milk. VILLAGE GREEN; A well made English goat's milk cheese, sealed in green wax. VULSCOMBE; A range of small English goat’s milk cheeses. Essentially yoghurt cheeses, set without rennet. Available plain, with black pepper or with herbs. Read more about Vulscombe cheese production here. WATERLOO; A superb unpasteurised, ripening cow’s milk cheese, similar to a Reblochon. Mild sweet and sticky, rare and difficult to obtain. WEALDWAY; A young, white, English goat’s milk log. Eaten young – sharp and piquant. Salad Breaded. WEDMORE; A delicate, mild, crumbly cow’s milk cheese with a layer of chives running through the centre. Also available smoked. WENSLEYDALE; An ancient English territorial cheese, dating from the Cistercian monks and brought to England by the William the Conqueror in 1066. Crumbly and mild. A cow’s milk cheese. WENSLEYDALE – EWE; A sweeter and whiter version of the cow’s milk cheese. Eaten young, whilst delicate and crumbly. The earliest versions of English Wensleydale were all sheep’s milk. WHIRL; An English Double Gloucester, flavoured either of onion and chives, or garlic. A cow’s milk cheese. WHITE STILTON; Made in the same fashion as the Blue Stilton but using a white fungi. Eaten young when the flavour is sharper. Used as a base for some delicious fruit combinations. An English cow’s milk cheese. WIGMORE; A delicious, rare, soft ripening, English sheep’s milk cheese. Seasonal and difficult to obtain. WORCESTER GOLD;A well matured hard English cow’s milk cheese, rich and creamy. Y FENNI; A mature, Welsh Cheddar, flavoured with ale and mustard. Made with cow’s milk. YORKSHIRE BLUE;A delicious, soft, English cow’s milk blue cheese. Strengthening with age. How much Cheese do i need.....Thats a good question! This depends on many factors... chiefly, what role is the Cheese playing? Is it as part of a 5 course dinner party, or perhaps you need Cheese for a feature Cheese and Wine evening, or maybe its a Ploughmans for 30 people. The range, and the quantity's required will be quite different for these events. However as a guide, work on 4oz, or 120g per portion as a total Cheese value. So, 500g of Cheese will comfortably provide Cheese for 4-5 people as an After Dinner Selection. Buy a Cheese and Wine Shop Cheese selection today!